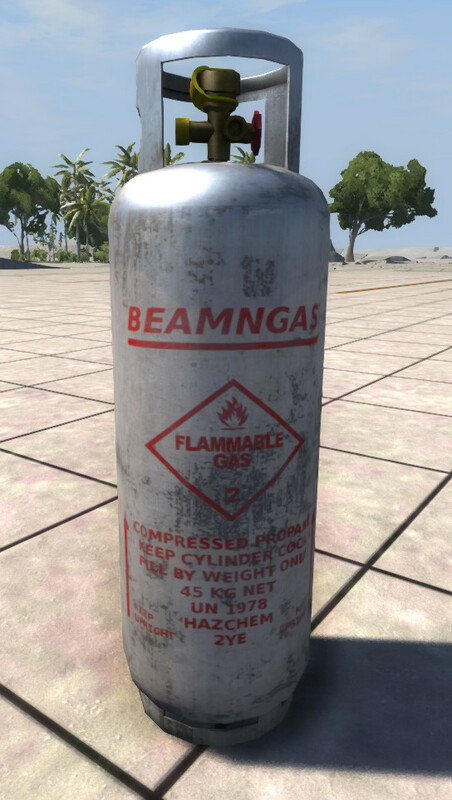 Updated propane tank mod to work with the new fire visuals. 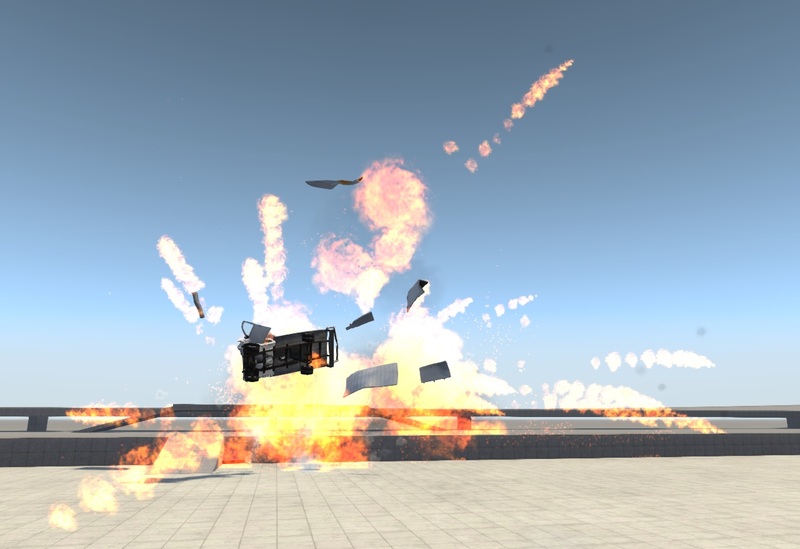 Uses a precompressed jbeam structure to blow things up. May cause crashes if set off inside vehicles (but works pretty well in the box trucks). CAPTAIN LIPTON, fufsgfen, Adrian Stoesz and 12 others like this. So, i got bored, one late night, and i went onto grid map and Spamed this, maybe 100 times, can't remember, and one exploded, and it spread like wildfire, Really really good! Doesnt show up in the selection menu. Still (kinda) works now, but there's no force to the explosion. The fire comes out, but there's no kickback. Would rate 5 if this was working. Still works very well and is so far the only placeable explosive ever! thumbnail has vanished but it still works! Guys! If you have problem with invisible tank, you can solve it if you'll unpack it. So, just install as usual ZIP mod in directory (my documents/beamng.drive/mods) and then find it in Mods manager (in main menu). Choose it and look at buttons above. Click on "unpack" button (or unarchive... sorry, i don't remember name in English localization). Probably you need to restart game. And that's all... It will be visible now. About mod: really cool mod. Now I can make epic crushed :p Rate 5!